Machine learning has the power to change how we look at field service – what it means to contractors and customers alike. Though machine learning is widely misunderstood and very often confused with, or believed to be the same thing, as artificial intelligence (AI). First thing’s first: what’s AI? AI is typically defined as the science of making computers do things that require intelligence when done by humans. 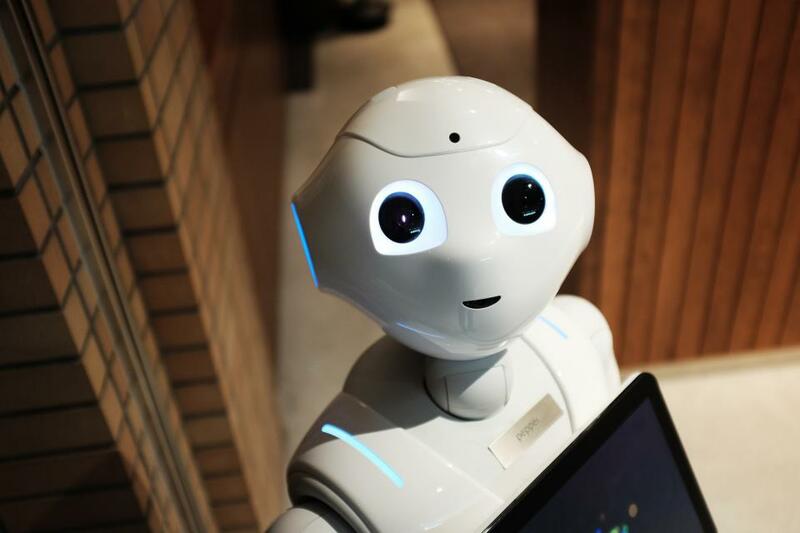 To date, AI has had some success in simplified and specific tasks, though the goal is to achieve an artificial consciousness and general intelligence that can learn, apply learnings from previous tasks or experiences, form opinions and act independently. AI has a bad rap in many cases. It’s possible Hollywood had something to do with this, think Skynet (Terminator), VIKI (iRobot), and The Architect (The Matrix): all examples of AI that sought to overthrow, or had already overthrown, the human race. If AI becomes a reality – and many leading minds in the field believe it’s inevitable – AI has the potential to completely change the world in ways we haven’t properly thought through. So it makes sense that AI does tend to make people a little worried; after all, just because we can do something doesn’t mean we should, at least not without understanding the consequences. What doesn’t make as much sense is how people get worried when I talk about machine learning, because machine learning and AI, while related, are actually very different. What’s different about machine learning? Machine learning doesn’t seek to make an artificial general intelligence; it’s about providing computers algorithmically the ability to learn without being explicitly programmed and allowing outcomes or programs to change when they are introduced to new data. Essentially, it’s mathematical algorithms that crunch loads of data to create predictions, spot trends, recognise fraud, and diagnose patients and illnesses in a fraction of the time it takes a person to do so, and with access to large amounts of data. Therein lies some of the power and problems with machine learning; you need to have a lot of data to train these algorithms to do what they need to do. Machine learning is typically broken up into two main categories: supervised machine learning and unsupervised machine learning. We’re all exposed to the outcomes of machine learning every day, probably without realising. A heap of supervised machine learning is at play to personalise your Facebook news feed, for example. If Facebook detects that a user stops scrolling to read or ‘like’ a particular friend’s posts, the news feed actually starts to show more of that friend’s activity earlier on in that user’s feed. Behind the scenes, there’s statistical analysis and predictive analytics at play to identify patterns in in your data and populate your news feed accordingly. Supervised machine learning can really help with personalisation, while unsupervised learning can be really useful in data inference from large data sets, looking for patterns, spotting fraud, and so on – where there are clearly definable outcomes and patterns that can reach that outcome. So how does machine learning apply to running a field service business? Well, machine learning helps to automate and simplify tasks previously done manually – and machine learning can actually enable a system to learn new tasks, too. This then allows business owners, field service managers and the like to get back to adding value to the organisations they’re working in. Think, for example, if a system could detect a specific pattern of use, and then simply interrupt the user and ask for permission to continue the task automatically for them. And what about using IoT (Internet of Things) sensors on equipment to read and compare it to the data of thousands of pieces of similar equipment to predict failures before they happen? This would allow you to get something replaced or repaired before an inevitable shutdown occurs. Or what about using these sensors to add automated commentary to reports that you send your customers after inspections to help convince them that a replacement is warranted and not just “a good idea” ? We could also use machine learning in speech recognition to add “intelligence” to a system, so you could get the system to do things through conversation. Speech recognition is enabled through machine learning, then you may need some Natural Language Processing (NLP) to contextualise your request, then a series or chain of commands could be run by the system that line up with your request. From what seems to be a simple request, multiple different machine learning algorithms with different purposes all come together to complete the task you asked for. This is the difference between machine learning and AI; it is subtle as they are part of the same science, though they each have vastly different outcomes. Understanding how they work and what their potential is can really help us to harness their power and create meaningful outcomes for field service.